UPDATED: The ACLU lawsuit comes 10 months after the group sent a demand letter to the state Department of Education over the lack of a girls locker room at Campbell High. 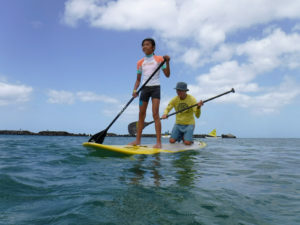 A federal class action lawsuit against the Hawaii Department of Education was filed Thursday by the American Civil Liberties Union of Hawaii over gender inequities for female athletes at the state’s most populous high school. The 67-page complaint, brought under the federal anti-discrimination law known as Title IX, comes 10 months after the organization sent a demand letter to the DOE requesting the agency address the glaring disparity in locker room availability for boys and girls sports teams at Campbell High School. That letter was sent to the DOE shortly after a Civil Beat report exposed the lack of girls locker room facilities on the Ewa Beach campus, with female softball team players forced to change for practice on school bleachers, run to an off-campus Burger King to use the restroom and haul heavy athletic gear from class to class because they had no place to store equipment. By contrast, male athletes faced no such hardships. The boys locker room at Campbell High School. The school has not had a separate athletic girls locker room in the decades since the school opened. 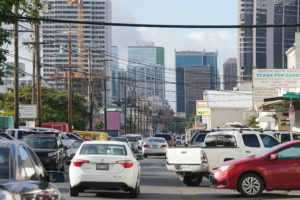 The Oahu Interscholastic Association, an entity controlled by DOE that schedules games and tournaments at athletic facilities and organizes travel for all secondary schools on the island, is also named in the suit. In a statement to Civil Beat Thursday morning, the DOE said it was unable to provide comment at this point. “We have not received nor had a chance to review the lawsuit and are unable to provide information or a comment due to pending litigation,” spokeswoman Lindsay Chambers said. 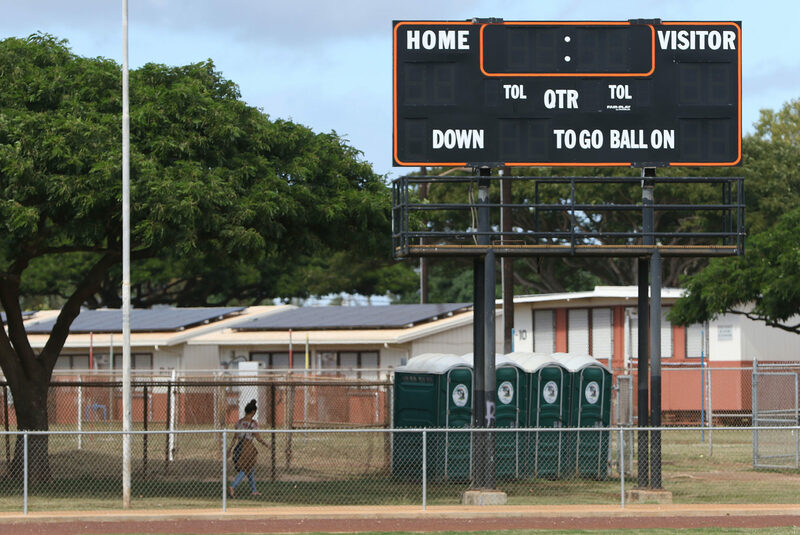 The complaint, filed in U.S. District Court for the District of Hawaii, cites potential Title IX violations that go far beyond the lack of a girls locker room at Campbell High. 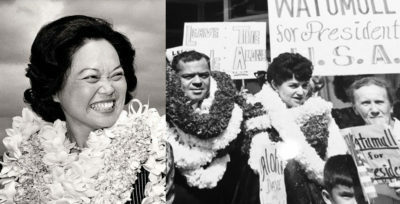 It alleges preferential treatment of boys sports teams over girls, including access to more qualified, experienced and better-paid coaches and trainers; scheduling of prime-time games at premier venues like Aloha Stadium that draw larger attendance; travel opportunities to compete in games and tournaments on neighbor islands and mainland destinations like Las Vegas and Phoenix; and more visible promotion and marketing, including on the school’s website. The suit also alleges school administrators failed to secure a practice pool for the girls water polo team until after the 2017-18 season began, forcing the girls to practice either on dry land or in the open ocean and causing their coach to pay roughly $60 a day twice a week to rent out a regulation-sized pool for practices when school funding didn’t come through. The complaint also alleges Campbell High administrators took retaliatory action against the girls water polo team when team members raised concerns about the conditions, including threatening to cancel the program and refusing to sign a $1,000 outside grant offered to the team. The two plaintiffs in the lawsuit, identified by initials only, are 17-year-old seniors who are on the Campbell girls varsity water polo and swimming teams. They seek to represent a class of current and future Campbell High female students. Four portable toilets are the only ones near the Campbell High baseball, softball and football fields. Female softball players often have to run off campus or back to the school building to use the restroom. 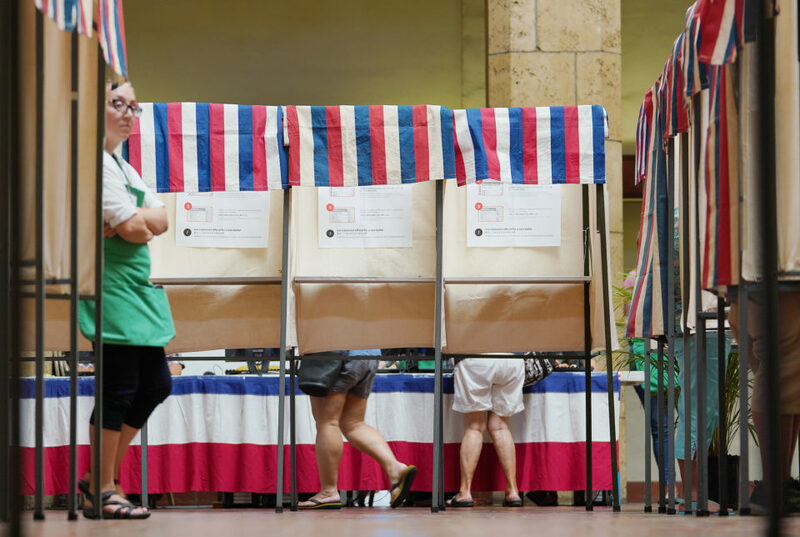 While the suit is specific to Campbell High, which in 2017-18 had an enrollment of 3,123 students, the allegations point to a troubling pattern of athletic gender inequality in Hawaii’s public schools, according to the ACLU. This is not the first time DOE has been sued over purported Title IX violations. 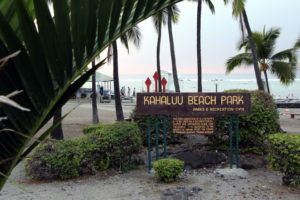 It was named in a 2010 lawsuit brought by ACLU Hawaii against Maui’s Baldwin High over use of the school’s athletic practice fields. In that case, U.S. District Judge David Alan Ezra granted the plaintiffs a preliminary injunction that required the DOE to build a new girls softball practice field equal in quality to the field used by the boy’s baseball team. ACLU Executive Director Josh Wisch discusses the filing of a Title IX lawsuit against the DOE and OIA as fellow ACLU attorneys and co-counsel stand behind him. 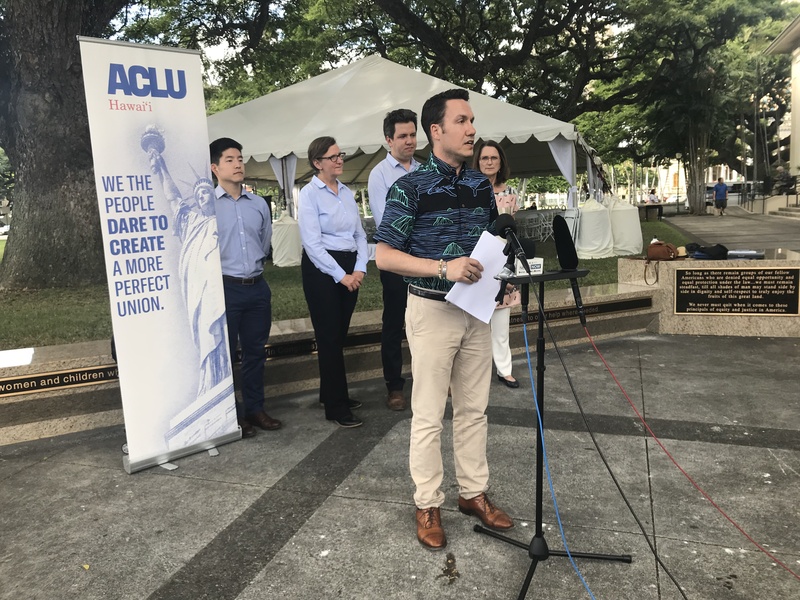 Thursday afternoon, lawyers with ACLU Hawaii and their co-counsel held a press conference to discuss the suit outside the Hawaii State Library, where a new bronze sculpture of Mink has been installed. 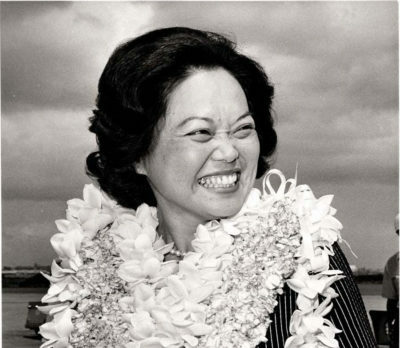 The congresswoman faced barriers in her career path due to her gender and race. “This statue is a good reminder that (Mink’s) work is not done, and that the fight is not over,” Wisch told reporters gathered at the press conference. 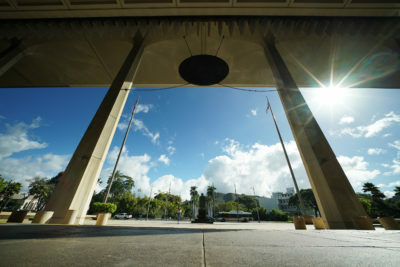 Former Hawaii state Rep. Jackie Young had expressed concerns to the DOE as far back as 1994 over gender inequities in DOE’s school facilities, according to Thursday’s complaint. The Hawaii Legislature passed legislation in 1999 requiring the state DOE to come up with a plan to address gender inequity in K-12 sports, but the bill was vetoed by then-Gov. Ben Cayetano after the DOE falsely assured the state it was compliant with Title IX, according to the complaint. Through executive action Cayetano ordered the DOE to come up with a timeline for coming into Title IX compliance and a specific plan of how it planned to do so, including submitting mandatory quarterly and annual reports of progress, according to the complaint. Shortly thereafter, the Legislature passed a law in 2000 known as the “Gender Equity in Athletics Law,” which created an advisory commission that, over the next several years, “played a key role in exposing routine delays in the DOE’s completion of baseline compliance assessments and its piecemeal or misguided approaches to resolving gender equity issues,” the complaint states. 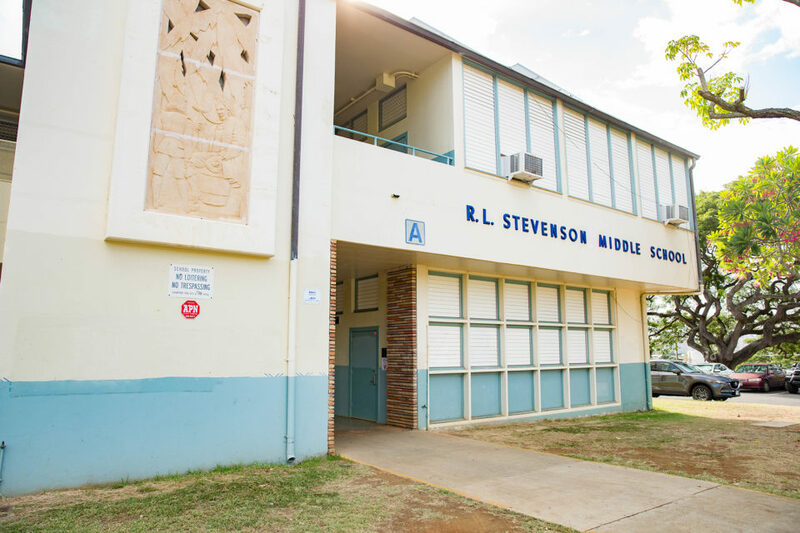 The commission’s evaluations at the time focused on five Hawaii high schools — Hilo, Kahuku, Kaiser, King Kekaulike and Roosevelt. It looked specifically at better locker rooms and facilities, as well as more opportunity for pre-season competition, offered to boys teams. After the advisory commission issued a final report in 2003 indicating “minimal progress” by the DOE, “progress regarding gender equity in athletics has halted and, in several respects, even regressed,” the complaint states. 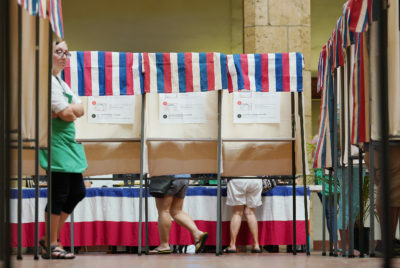 In March, the Hawaii DOE sent its response to the ACLU’s demand letter to come up with a specific plan to address the locker room issue by the 2018-19 school year. But the response lacked mention of a specific plan or comprehensive data points, other than several gender inequity projects currently underway. The facilities branch has maintained that the old age of many DOE schools — many more than 100 years old — makes constructing new facilities or locker rooms no easy thing. In a recent presentation to the state Board of Education, the DOE said it would isolate “Gender Equity” into a separate category as far as allocation of dollars. 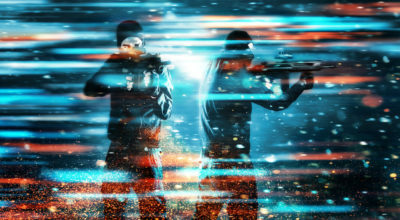 Previously, it was folded into a broader bucket known as “Program Support,” which received $27 million in fiscal year 2019. The DOE has requested $10.7 million for “gender equity” alone for fiscal years 2020 and 2021. The allegations specific to Campbell High read like a blueprint of what not to do if you’re a public school trying to be compliant with Title IX. 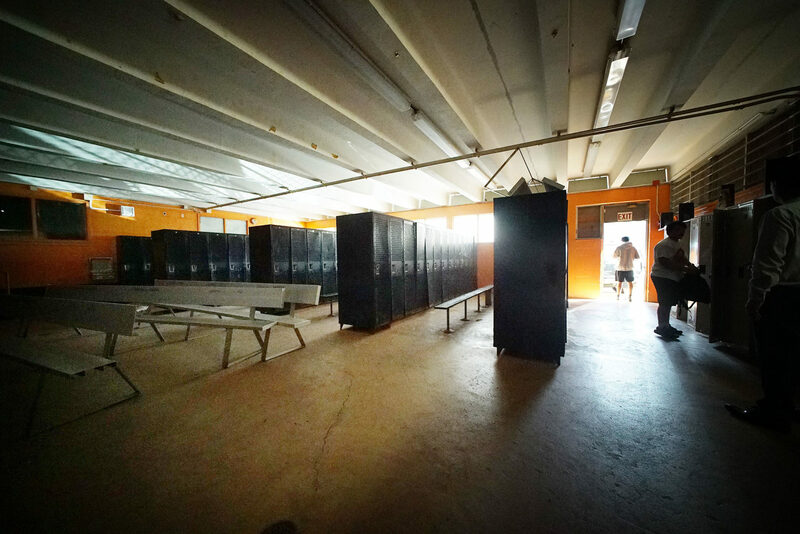 It discusses a boys stand-alone athletic locker room facility equipped with 120 full-size lockers, showers, at least four bathroom stalls, plus air conditioning and an office. It references a boys “baseball house” that has a mini-fridge and couch, plus a large storage container used to store equipment, plus a batting cage. By contrast, the girls softball team has no such dedicated “softball house,” and is offered a container half the size of the boys in need of repair with no access to bathrooms close to their practice field. It also discusses the wide disparity in the composition of coaching staff, noting how the Campbell’s girls varsity softball and soccer teams currently lack full-time coaches, with coaching vacancies on the boys teams filled far more quickly. This extends to pay for coaches: the complaint also alleges that in two of the last three years, assistant coaches of the girls water polo team were not compensated in order to boost the salaries of the boys football coaches and hire more assistant coaches for that team. 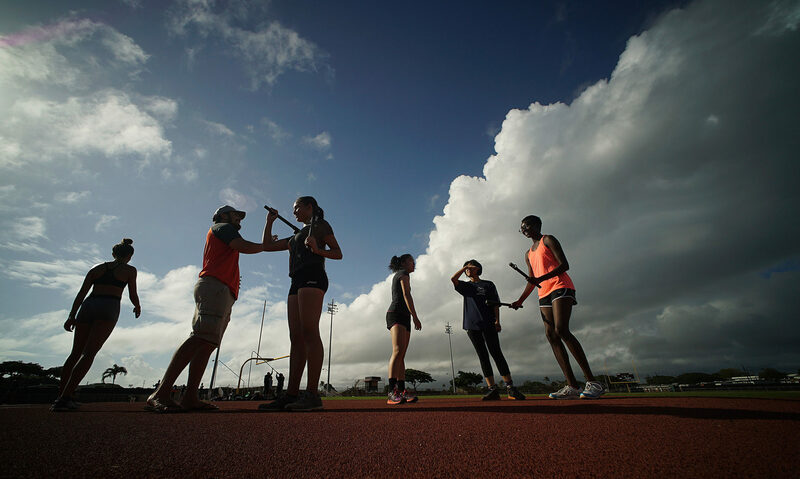 Campbell High girls track team members at an after-school practice session earlier in the 2017-18 school year. The consequence is more turnover, according to the complaint: the Campbell girls water polo team had three different head coaches in the last four years, which has been “incredibly disruptive to the water polo athletes,” states the complaint. The suit also alleges that few athletic trainers are present at girls games, putting those athletes at increased risk of injury. In a statement Thursday, the two female plaintiffs expressed their frustration over inferior treatment. The lawsuit seeks a court ruling that the DOE has discriminated against Campbell High female athletes and retaliated against them in violation of Title IX and an injunction that the agency devise some plan to address the concerns.